You arrive in Wiltshire and you await the rest of your small party of investigators, in this case British actor Danny Dyer and his documentary film crew. You say your hello and the introductions are underway. You visit new and recent geospiral pictures on the landscape together and you feel the buzzing sensation of their energy as you venture within the geometric outlines. When we see a snowflake and its beautiful patterns we don’t often realize that this is the shape of the sound of the environment around it and that the shape of that snowflake is purely a recreation of that sound’s geometric patterns. It is mimicking the environmental sound. Of course there are the fake crop circles that Doug & Dave claim to have created, although crop circles were recorded as early as the 16th Century. But on the whole there is an advanced numerical mystique about them, which I will detail in a moment. People have seen and even filmed Plasma Balls of light forming some crop circles, some have even identified a binary communication between the individual plasma balls as if they are working together with a consciousness. When people film and see plasma balls of light above an area which then sees a crop circle appear this is microwave energy and flash heat that causes one side of the crop to be elongated and therefore curved without damage. This curvature gives us the crop circle formation using microwave energy which is a form of the universal energy electromagnetism. If electrons are floating around freely, even for a very short amount of time, they can be shoved far away from their point of origin by the electric field. And then shoved back. And then forwards again. As they move back and forth, they crash into air molecules in the air that can knock electrons in them to higher-energy orbits. Then these electrons fall back, emitting light. That’s why you have a glowing blob of plasma over a flame or in this case a flash heat. This plasma is hotter than the rest of the air and so it tends to rise up. This is how a microwave oven also works. But there is more. For those who have seen the 1980’s movie ‘Close Encounters of the Third Kind’ you will know that at the end of the film there is a communication between humans and extra-terrestrials by use of music. And the Greeks called geometry frozen music which leads me onto my next point. Some of the great Composers such as Mozart and Bach used to deliberately hide cryptic messages within their compositions, to be deciphered by the chosen recipient. Bach used to spell his name with musical notes that formed part of his compositions. It is called Musical Cryptology. It is the transmission of a message through music. Musical notes A – G are used to spell out words, abbreviations and codes. They can transport secret messages through music and are the perfect camouflage. Musical notes are also geometric shapes. Music can also lead to encounters with realities beyond everyday consciousness and open inner doors to other dimensions. Within crop circles (the majority of them) diatonic ratio’s have been found hidden within the crop circles themselves. Diatonic ratio’s are basically the white keys of a piano and are a human response to sound. This being the case it would the perfect way to encode a message for humans. Diatonic ratio’s are simple whole numbers that determine a scale of musical notes and the only place in nature that diatonic ratio’s are found is in bird calls and whales. These ratio’s have been found to be of their own intelligence. 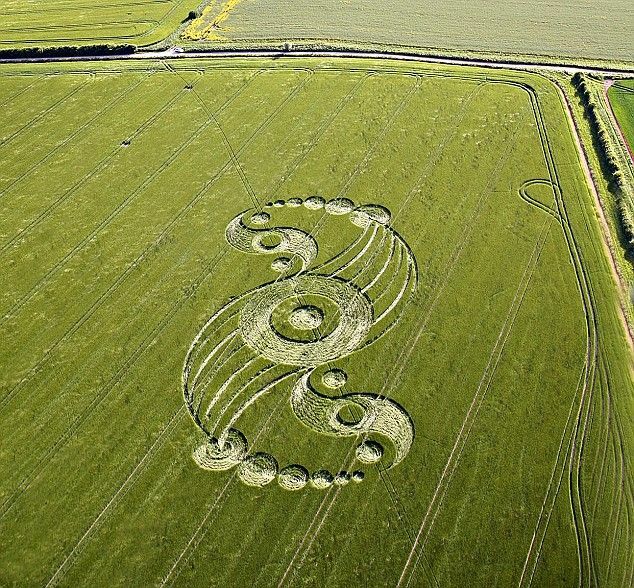 What if musical cryptology in the form of a crop circle is a hidden message for humanity? 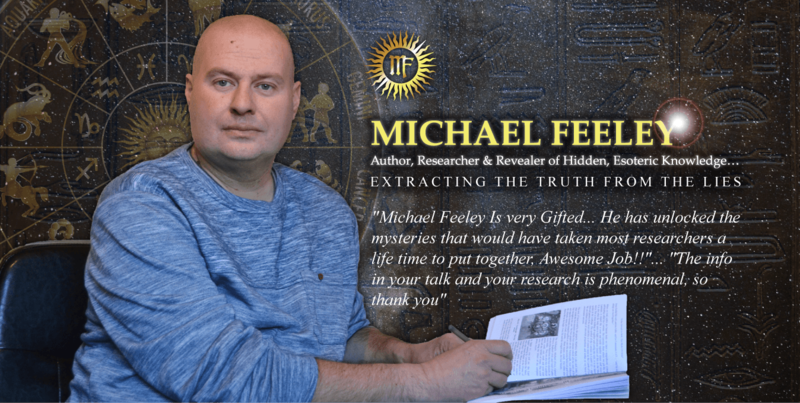 What if there is a clandestine communication going on beneath our noses? Not just by a pictorial shape but by sound. And what if with each new crop circle that appears we are being given a new note that continues from the last note to eventually complete a musical sentence that gives us the full and complete message through harmonics and sonics? The higher the frequency and pitch the more complex the shape of the crop circles are. I think it is a cryptic message hidden within geometry. The law of geometry governs mathematical intervals of notes and diatonic ratio’s have been found hidden within crop circles. The answer to the message of the crop circle is in the scale of human sound responses. The messages of the crop circles even go into the fifth postulate of interpretation of non-Euclidean geometry, which is a theorem. Take your mind back to close encounters and how contact was made through the musical scales of a keyboard and then think of geometry as frozen music and then you can see the musical cryptology being created!